Is your mobile home roof leaking or are you in need of a mobile home roof repair? Mobile home roof generally last for 15-20 years depending on the materials and construction. When they start leaking or becoming inefficient, it’s time to address the situation before it turns into a bigger more expensive problem. There are many options available when it comes to repairing or upgrading a mobile home roof. From our stunning white, Single-Ply Membrane Roof Over System to a variety of Shingle Patterns and colors. Take a look at a few of the options we have below. 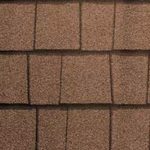 Why Choose All Weather Roofing, Inc. Since 1984 All Weather Roofing, Inc., has been a leader in mobile home roof repairs and mobile home roof overs. We have an A+ business rating with the Better Business Bureau and are known for integrity, outstanding customer service and affordable repairs. If you think you might need help with a mobile home roof repair, why not have us come out for a free (no obligation) video inspection where we’ll document any issues on video and give you a free estimate to repair your roof. We would love the opportunity to help you with your mobile home roof repair. Please feel free to contact us toll free 24hrs a day, at 800-297-3758. You can also submit a mobile home repair request online and we’ll get right back to you. 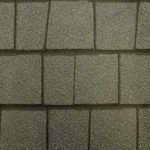 Contact All Weather Roofing Inc today!